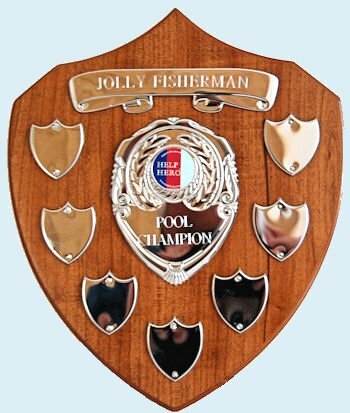 The Jolly Fisherman had a very successful day at our H4H event on Saturday 20 August 2011. Grant Hall completed his skydive in the morning. On the same day The Jolly Fisherman pub was packed from around 1pm until late in the evening, with people enjoying the fun and donating very freely to the Help for Heroes. We set out to raise �1,000 but in fact have raised �3,250. The main contributions were �1,000 donated by The Singleton Barn Lottery Fund, over �425 each from sponsorship of the skydive and sale of H4H merchandise, �218 from the charity auction, �210 from the sale of the special event T-Shirts and �194 from the raffle. All the charity auction items and raffle prizes had been donated by local firms and others. 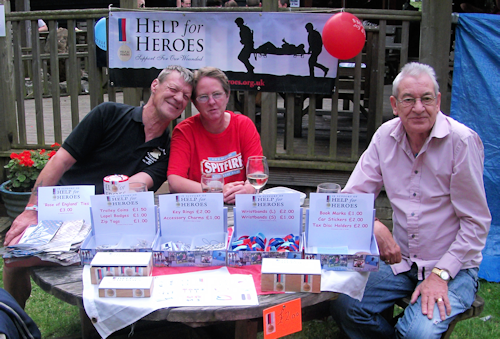 The Jolly Fisherman held a H4H Fun Day on Saturday 25 August 2012 in support of their barmaid Becky's Skydive. 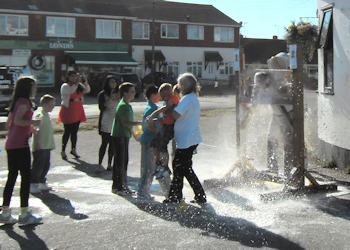 The fun day raised �770.50 for H4H. The skydives were arranged with the Headcorn Parachute Club who operate out of Headcorn Airfield, south of Maidstone. The volunteer dives in tandem with an experienced instructor. A tandem parachute is in principal the same as a normal single jumper will use, but has more engineering and twice the size. It takes around 20 minutes after taking off to climb to 10,000 or 12,000 feet which is about 2.2 miles high. When the aircraft flies overhead of the drop zone they both got out in groups with the tandems last to leave. "You walk to the open door, the camera flyer waits hanging on to the outside. The tandem master says, �Head Up�, you look out at the expanse, immense sky beneath you. You leave." 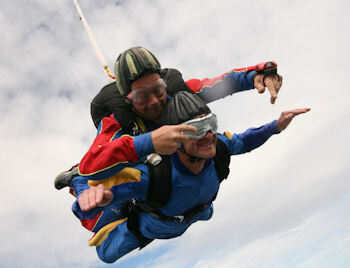 Grant undertook his skydive in the morning of 20 August 2011. He wanted to do it blindfolded and this was achieved by the blanking out of the goggles he had to wear. 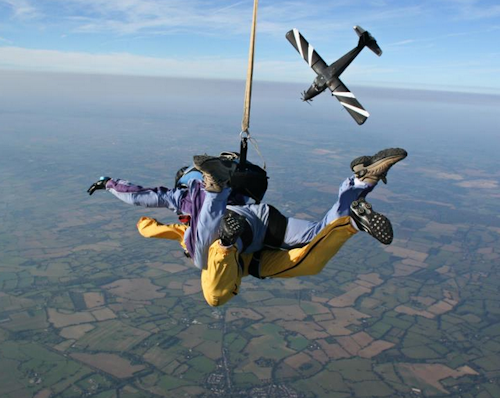 Becky undertook her skydive in the morning of 24 August 2012. The greatstone.net/Jolly Fisherman H4H Pool competition held at The Jolly Fisherman was fully subscribed with 32 entrants. The competition ran from 1.15pm through to 7.30pm. with Darren Madden, from the Bailiffs Sergeant in St Mary's Bay, beating Gary Smith, from The Jolly Fisherman, in a close three frame final. 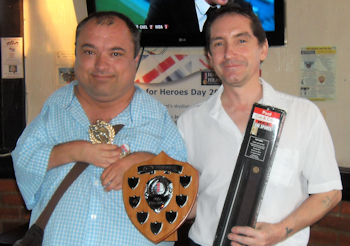 The competition raised �70 for the H4H. The 2012 greatstone.net/Jolly Fisherman H4H Pool competition was a back to back knockout pool competition. This meant that the winners of the single frame games 'moved forward' as normal, with the losers 'moving backwards' playing each other. The three frame final was between Ray Webb, from The Varne Boat Club, and Roy Lambourne, from the Ocean Inn, with Ray being the winner. Both players play for the Romney Marsh & District Pool League. In third place was Stacey Lockyer also from The Varne Boat Club. Sue plays for the KAB Romney Marsh Pool League. The competition raised �120 for the H4H. 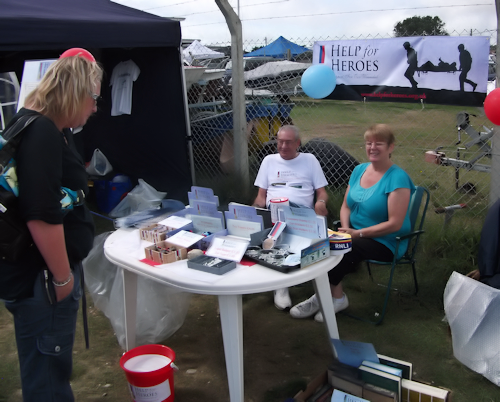 Romney Marsh H4H attends other events with their merchandise stall to raise funds for H4H. On Saturday 13 August 2011 we attended the RNLI Emergency Services Day, at which we raised �350 for H4H. On Saturday 12 August 2012 we had the stall outside Sainsbury's in New Romney and raised �153. On Saturday 18 August 2012 we had a stall at the Varne Boat Club as part of the RNLI Emergency Services Day and raised �125. Please click here for details of the Romney Marsh H4H accounts.